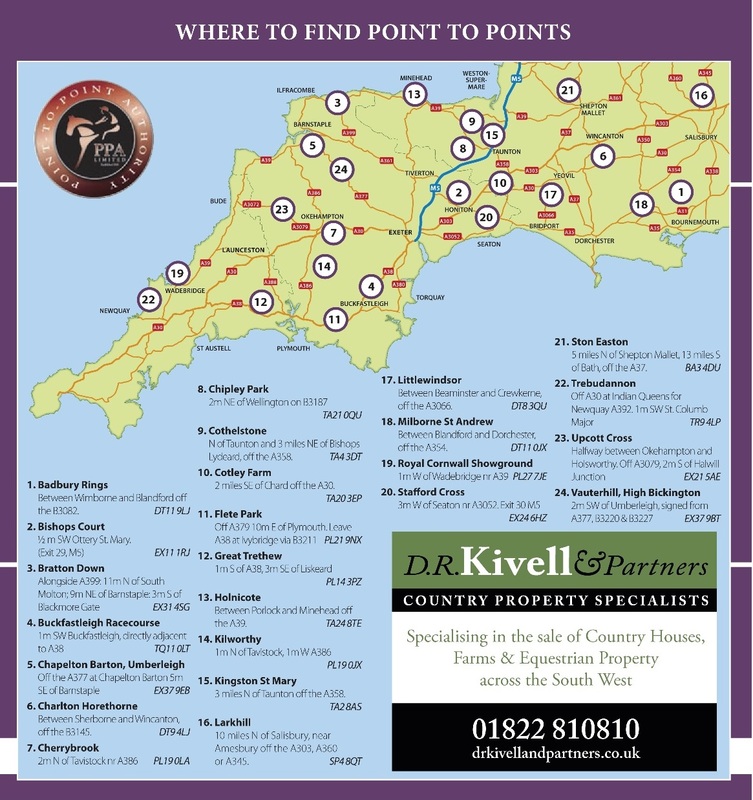 This weekends Point-to-Point fixture in the Devon & Cornwall area takes place at Chipley Park near Wellington on Sunday 27th January. Eight races will be on offer with a start time of 11.30. Over 170 entries have been received. The races include the £1000 Timico Mixed Open race which is a qualifier for both the Timico Mixed Open final race at Cheltenham in May, and also a qualifier for the Skinners Ladies Open Final to be held at Stratford, also in May. 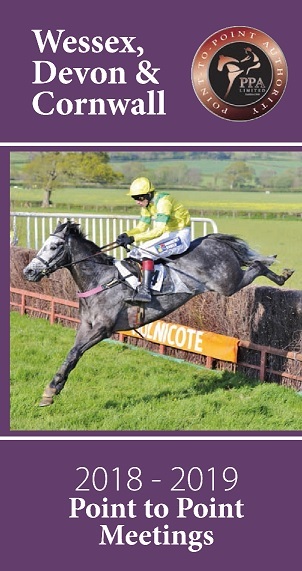 Notable entries include Blackwater Bramble for owner/trainer Alexandra Dunn, having already won at both the Buckfastleigh meeting, and a 20-length winner in a fast time at Larkhill this season. This could be a bigger ask with 30 entries here, which also include the Rose Loxton-trained Virak who was a winner at Chaddesley Corbett in December under in form jockey Natalie Parker, and has nearly 200k to his credit in prize money, when running under rules. Also entered in the Mixed Open to note is the Tom Malone owned and trained recent Wadebridge winner The Last But One, a likely ride for Jo Supple. Trainer Ryan Potter is double entered with the highly rated Don Bersy who can be quirky, along with previous Cheltenham Hunter Chase winner Foxcub. The opening Members race could be a thrilling finish between the two mares Whenharrymetsally who won this race last season under Matt Hampton for Keith Cumings team, and River Myth who found form when winning at Stafford Cross/Bratton Down and Upcott tracks last season for trainer Stuart Sampson. Ex National Hunt entry Jack Snipe could be the one to take the mares on, having won a Chase at Newton Abbot last June when in training with Jeremy Scott, the ten-year old gelding is now with Somerset trainer Robert Hawker. 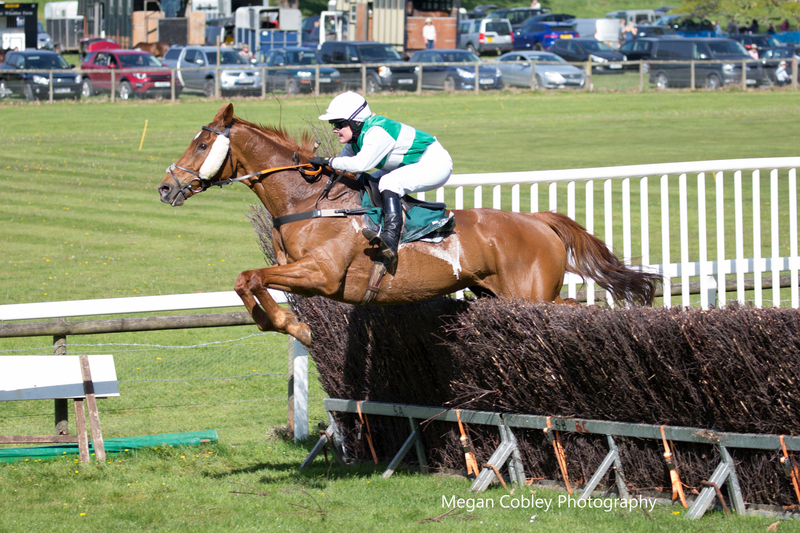 Drumlynn is an entry catching the eye in the Exeter Racecourse-sponsored Intermediate race, having won at Larkhill being a 30 length winner that day in a Restricted race under jockey Darren Edwards, Drumlynn is owned and trained by ITV4 presenter Luke Harvey. Myoldman from the Caroline Robinson yard could be the one to challenge Drumlynn, having recently won his Restricted race at Chaddesley Corbett. Earthly Reason holds the hopes for the Big Brook team, he stays well, will enjoy the ground, and should be ready to progress from his two wins at the Trebudannon track last season. 29 are entered for the Restricted race in which outside raiders that stand out are Highway Jewel for Welsh trainer David Gibbs, the mare duly obliged when being sent off favourite at the Ffos Las Point-to-Point track coming home the only finisher. This could be a tougher task with the Fred Hutsby-trained Kalinote entered. Kalinote won his maiden at Hackwood Park, then followed up with a 4L second at Garthope. Manhatten Mead (Paul Hamer) is the highest rated and had previously run second at this track two seasons ago, and should be respected. In Arrears ran second at Wadebridge under Darren Edwards, and Pancrace fresh from a second place at Howick in November under Will Biddick and could be the ones to fly the flag for the area. The Conditions Novice Riders race has attracted 23 entries and those include Dicky Bob who ran second at this track last season. Dicky Bob also holds an entry for the Larkhill meeting this Saturday, but his Dartmoor trainer Verity Nicholls, will wait on going before deciding where to run for his season’s opener. Chosen Lucky has won nine of his twelve starts to date, with an impressive recent win at Wadebridge when ridden by promising young jockey Liam Harrison. Entry One Big Love is another option for the jockey to ride and should be well respected on her second here last season when ridden by Lorcan Williams. Both Heaney from the Wonnacott team, and Double Captain (Joe Tickle) are just two others which will figure high in the betting arena, and any market support for ex Irish NH/Pointer Mr Murphy should be respected. Cloudy Music for team Summersby stands out among the 21 entries for the Jockey Club Mares & Fillies Open Maiden race, having clocked up some decent place form in Ireland and ran a good second behind Goldbury at Wadebridge last month. Where’s Wilma for the Not So Innocent partnership is another to have run well in second at Milborn St Andrew last season, and looks to go well fresh. In the divided Open Maiden races which follow, Banco de Logos (Dean Summersby),Raging Fire (Michael Felton), Round Robin (Christine Banks) and Freetime (Sophie Lacey) look to be the ones to follow in the first division. Whilst Snakelake Hill (Rose Loxton) Airlander (Sophie Lacey) and Skinflint (Gerry Supple) are those to catch the eye in the second division.